Remedial, sports, relaxation, deep tissue and more. 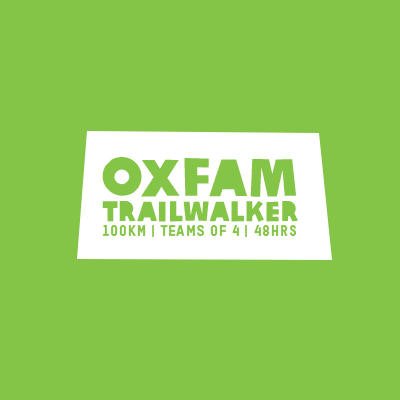 All proceeds from massages on Sunday 28 April will be donated to Michelle's OXFAM hiking team "Kool Kickers" who are hiking 100km to raise money. Operating in Brisbane since 2011 and in Paddington since 2015. Massage can ease physical pain, promote healing, alleviate chronic symptoms, and encourage, facilitate and support an active lifestyle. Deep tissue treatments, fascial work, cranio-sacral techniques, stretching, soft-tissue treatments and lymphatic massage are some of the techniques that we put to use. Private health insurance continues to cover remedial massage. Talk to Michelle or Peter about how massage, be it regular, occasional, remedial or relaxation, can be of benefit to you and your health. Therapy co-operative & urban retreat. 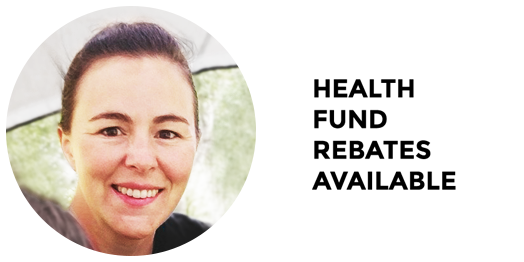 Health fund rebates are available for treatments from Michelle. 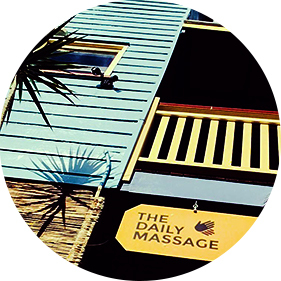 The Daily Massage proudly supports beyondblue by donating 10% of the price of every purchased gift voucher. Hope. Recovery. Resilience. Michelle Brock RMT is a graduate from the Okanagan Valley College of Massage Therapy in Vernon, BC, Canada. Michelle’s athletic background began with ski racing and more recently she completed two Ironman Canada races while working as a forest fire fighter at Rapattack in Salmon Arm. 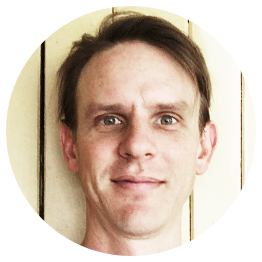 Peter has worked as a remedial therapist in Brisbane for the past ten years, following ten years studying and working as a scientist in the field of diagnostic pathology. His ongoing focus is working with his clients and managing the collective work space that is The Daily Massage. Peter no longer offers health fund rebates. 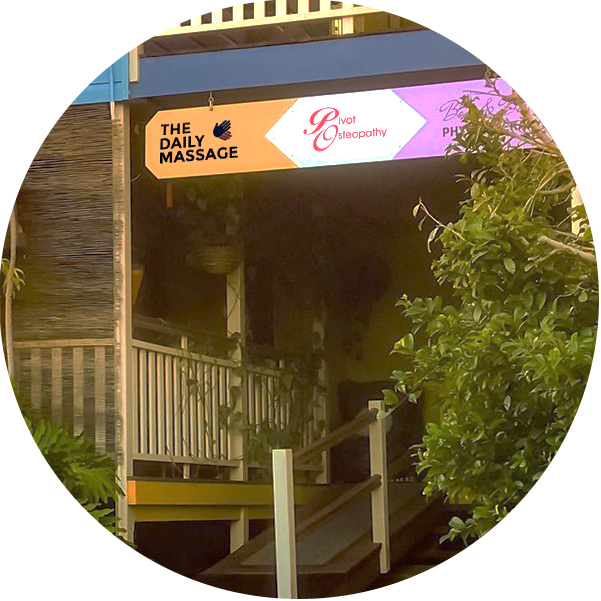 The Daily Massage operates from the lower storey of 175 Given Terrace in Paddington, Brisbane. From 175 Given Terrace, from street level, past Black Stone Massage and down the rear stairs that come off the balcony. This entrance is unavailable after hours. From Princess Street, around the corner, down the hill past Ray White on your left and into the driveway on your right. This entrance is always open. We work beside Pivot Osteopathy and we highly recommend the services of Sarah Dryburgh. 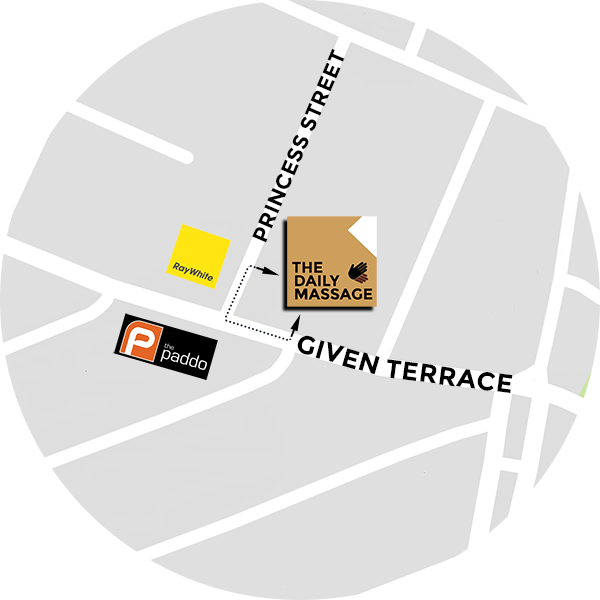 During business hours (approximately between 8am and 4.30pm, Monday to Friday), nearby street parking is plentiful and is the only option if you drive to us at this time. On-site parking is available outside of these hours. We work beside some wonderful business who have parking for clients, such as Therapy Solutions, Grace Simpkins Personal Tutors and Paddington Physiotherapy and Podiatry. We request that you do not park in the spaces reserved for their clients during business hours. If you're looking for a treatment in Ipswich, we highly recommend Trevor and his team at TH Massage. You will find them at TH Massage - 303 Brisbane St, West Ipswich.